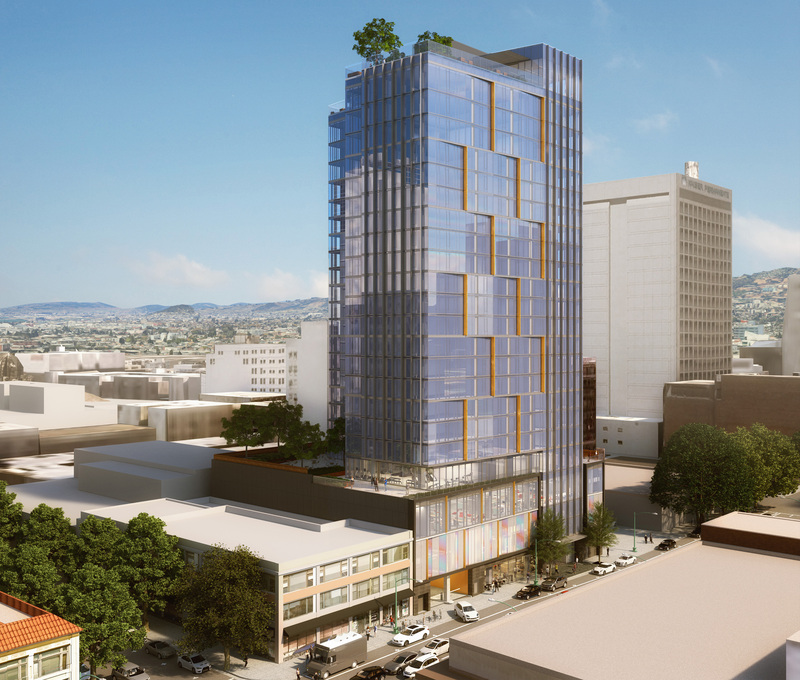 1721 Webster will be a 27-story apartment tower with 250 units, 5,000 square feet of office space, and 2,500 square feet of retail space in Oakland’s Uptown district. The building is surrounded by Uptown’s trendy shops and restaurants. In addition to Uptown’s employment base—which includes UBER, Kaiser Permanente, and Clorox, among others—the nearby BART (Bay Area Rapid Transit) station provides quick access to downtown San Francisco. Construction started in late 2017 with completion expected in 2019.